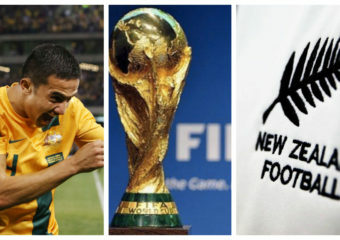 Is it time for a World Cup Down Under? As announced before the start of the 2018 FIFA World Cup last Friday, the 2026 edition of the prestigious sporting event will be hosted by a trio of hosts comprised… Continue reading "Is it time for a World Cup Down Under?" No Love for the Volcanoes? In an historic upset the Philippine national rugby team, dubbed “the Volcanoes”, toppled regional powerhouse Thailand to bag the 2017 Asia Rugby Sevens championship held in Doha Qatar the past… Continue reading "No Love for the Volcanoes?" This is an article I wrote for Pinoyfootball.com http://pinoyfootball.com/index.php?page=newsupdates&newsId=11100282 NEW ZEALAND — DEEP inside all of us, we have a hidden ambition we choose to bury believing that the odds… Continue reading "Nate Burkey: Living the dream"
This is an article I wrote for Pinoyfootball.com http://pinoyfootball.com/index.php/81-features/87-angel-guirado-goes-global NEW ZEALAND — When a professional footballer signs for a club in Asia or in the US, especially if he once plied… Continue reading "Pinoyfootball.com: Angel Guirado goes Global"
This is an article I wrote for PinoyFootball.com http://pinoyfootball.com/Features/2011Mar07Mon142231 By LOUIE ENCABO PinoyFootball.com Exclusive NEW ZEALAND –Some people are born into this world are bound for greatness. You can tell… Continue reading "Javier Jacutin Mariona: Born for Great Things"
This is an article I wrote for Pinoyfootball.com http://pinoyfootball.com/Features/2011Apr09Sat042953 NEW ZEALAND –England has given us some of our vital national team players; the Younghusband brothers, the Greatwich trio, Rob Gier,… Continue reading "The Pinoy Side of Fred Holtom"
This is an article I wrote for Pinoyfootball.com NEW ZEALAND — “I want to play for the Azkals, but mom was already a German citizen when I was born”, said… Continue reading "From Wolf to Azkal"
This is an article I wrote for Pinoyfootball.com The Azkals’ goalkeeping positions are firmly held by four talented individuals. Fulham’s Neil Etheridge, veteran and probably United Football League’s (UFL) best… Continue reading "Ralph Koch: Waiting to Shine"
As the most recent edition of the FIFA World Cup came to an end a few days ago, emotions varied among the few Filipinos who followed each game closely. They… Continue reading "Waving our own Flag"
Bahrain concedes a corner…Kiwi strikers and midfielders position themselves in the enemy box as Bahraini defenders try and block them…Bertos crosses the ball in, Rory Fallon jumps…and scores!!! The above… Continue reading "The Plight of the All Whites"